If you stumbled upon this article, it looks like you’re hunting the “interwebz” for the best gaming tablet money can buy. So, if you need one bad, and you need it now, you’ve landed in the right place. Whether you’re trying to replace an old laptop, or you’re just scouting for an extra-screen to use when “couch-surfing”, there are quite a few pretty cool gaming tablets out there to choose from, for everyone’s budget. Fortunately for you, we’ve done the “internet-combing” and the research, so you won’t have to. Now, even if this is going to be your first gaming tablet, or you’ve been there already, we’ll start today’s article with a little bit of advice, a quick guide of sorts with regard to tablet purchasing, and then we’ll present you with the best choices on Amazon. To begin with, you’ll have to determine what your needs are. This is important when it comes to choosing the operating system. Which means you’ll have to choose between iOS (read iPad), Android tablets and Windows tablets. There’s not much else between these 3 companies (Google, Microsoft and Apple that is). And, truth be told, Android and iOS are dominating this racket, which in layman’s terms translates into mobile-gaming apps, and there’s no end in sight for their virtual monopoly, hence you’re kind of stuck, at least for now. To begin with, one thing that Android lacks (compared to iOS) is that mobile games in the Google Play Store are not specifically designed for Android tablets, as in there’s no actual difference between tablet apps and smartphone apps. Or, to put it more simply, the gaming experience quality on your Android gaming tablet would depend on luck, i.e. if the developer has optimized the respective game to take advantage of your tablet’s display/hardware. Apple-made tablets, also known as iPads, are running on iOS, and Apple took extra-care to make their customers happy, as there are more than 800,000 apps custom-built for iPad. Which means, the gaming experience on an iPad is flawless. At least, that’s the theory. The only downside with iOS and iPads is a lack of customization. Oh, and the price, yes. Apple products are high-end/high-quality, and that comes at a hefty price tag. Tablets running on Windows OS offer a similar experience to traditional computing, and that’s good news if you’re coming from a regular PC or laptop. The Windows Store is touch-friendly, but the touchscreen experience in Windows Tablets is not on-par with iOS nor Android. The app-choice is also sub-par, compared to the leaders in the industry, and the same goes for app-quality. When it comes to gaming, screen real estate is of utmost importance. Gaming tablets come in a variety of sizes, ranging from 10-inch tablets to up to 18’’ (Samsung has a monster-tablet like that if memory serves). Most gaming tablets, including the iPad, have displays around 10 inches wide, which is basically the standard in the industry, give or take. And yes, ~10’’ are enough for most of us. However, just to play it safe, try a few different models in a “mortar and brick” store, see how they fit in your hands and all that. And speaking of screen real estate, don’t forget resolution. If you want “the good stuff”, forget about entry-level 1280×800 pixels gear, go for full HD 1080p/1920×1080 pixels or more (2k/QHD). With regard to screen resolution, the metric to look out for is pixels-per-inch or PPI density. The bigger, the better, as in the bigger the pixel density, the sharper the image will be. Also, look at the battery capacity and don’t forget to build quality and ergonomics. If you intend to play a lot on your gaming tablet (else why would you buy one? ), you should choose a tablet that fits well in your hand, and it’s sturdy enough to withstand short bursts of nerd-rage following head-shots and what not. Joke aside, yes, build quality should rank high on your list when it comes to everyday gaming gear. Storage also comes into play, along with connectivity. Most modern tablets support Bluetooth along with Wi-Fi and 4G LTE connections. A Wi-Fi only model will probably save you some money, so keep that in mind if you’re on a tight budget. Micro USB/USB connectivity is also important (most tablets have them, don’t worry), and expanded storage via SD/micro SD would be nice to have, but not a deal breaker. And speaking of non-essential things to have in one’s gaming tablet, check out NFC support and/or micro HDMI output. With all these things in mind, let’s dive right into the “meat of the article”, after a short commercial break! The Galaxy Tab S4 is arguably the best Android tablet for gaming, provided you can live with the $500+ price tag, which is already laptop-territory. 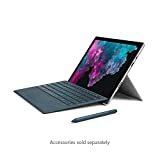 As usual, quality comes at a price, but the Galaxy Tab S4 really has it where it counts, making for a 10.5’’ premium product, which can actually (and successfully) replace your PC or laptop, as it can be fitted with a specially designed keyboard (the PC like DeX interface, sold separately). The display is a high-quality AMOLED variety, Samsung’s specialty, and even the sound-system is high-end, making this tablet a great choice for gaming (Dolby Atmos). The storage capacity on-board is a generous 64 GB, which means you’ll have enough space for both gaming and productivity apps. Bottom line, if you’re looking for the ultimate tablet for gaming running on Android OS, the Samsung Galaxy Tab S4 should rank high on your shopping list. If you thought the Galaxy Tab S4 is expensive, just check out the price tag of Apple’s latest iPad Pro with Retina Display. Yes, this tablet sells for over $600, but if you’re looking for the ultimate tablet for gaming, the iPad Pro has your name on it. Even if it will bleed your bank account dry, at least you’ll get your hands on the best gear out-there, starting with the drop-dead-gorgeous 10.5 inches wide Retina display, and ending up with Apple’s latest-gen A10X fusion chip with 64-bit architecture embedded M10 coprocessor. And yes, this is the fastest mobile system on chip money can buy. Also, Apple’s gaming-app ecosystem is flawless, hence the iPad Pro makes for the best tablet for gaming. Ever. Period. End of story. 4 speaker system, Touch ID, 802.11ac Wi-Fi with MIMO, Bluetooth. Next in our quest for the best gaming tablet is the Microsoft Surface Pro 6. Running on Windows 10, this premium piece of gear boasts an 8th gen quad-core Intel I5 CPU and 8 GB of RAM, along with 128 GB of internal storage capacity, which is nothing short of impressive, tech-specs wise. Truth be told, this “tablet” is more of a laptop, offering a 2 for the price of 1 experience, i.e. laptop-tier versatility doubled with a regular tablet’s portability. Well, kind of. Think along the lines of a mainstream laptop-replacement tablet, running on Windows 10, and you’ll get the general idea about the Surface Pro 6. The Fire HD 10 tablet represents everything that’s great about Amazon: lots of bang for the proverbial buck. Or, to put it differently, amazing quality at dirt-cheap prices. 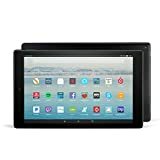 Retailing for under $200, this tablet runs on Fire OS 5.5, an Android version heavily modified by Amazon, and boasts a quad-core 1.8 GHz MT8173B MediaTek processor, a full HD 1080p display (the IPS variety) with 224 pixels per inch density, and up to 10 hours of autonomy. Considering the price tag, this is really impressive. On top of that, the Fire HD 10 offers a storage expansion slot, in the form of a micro SD card, which supports cards up to 256 GB. With regard to the app ecosystem, the Fire HD 10 will give you instant access to hundreds of thousands (literally) of apps, including best selling games, along with movie provider apps, social media and what not. 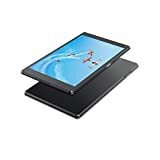 The Yoga Tab 3 Pro is a high-end and well-designed tablet, boasting an excellent 10.1’’ QHD screen, an innovative projector featuring a rotating lens, an elegant leather back, great dual- speakers and long battery life. Oh, yeah, I almost forgot: it will cost you an arm and a leg. Or about $500 in real money. However, this tablet packs a lot of oomph under its sleek chassis: the “engine” is provided by Intel Atom’s x5-Z8550 CPU, together with 4 GB of RAM and a 64 GB SSD. Most impressive, to say the least, considering that the Yoga Tab 3 Pro was launched a couple of years ago. The Huawei Media Pad M5 is a relatively small 8.5’’ wide tablet, which is almost smartphone territory, boasting a sharp and crisp 2.5D 2,560×1,600 resolution display, and great gaming performance. Just to give you a hint, this tablet runs on Huawei’s in-house made Kirin 960 system on chip, which is a state of the art tech-platform, running with the best in 2018 and all that, along with 4 GB of RAM and 64 GB of internal storage (there’s also a micro SD expansion slot). On top of that, the Media Pad M5 boasts Harman Kardon speakers, which sound awesome, and runs on almost-stock Android 8.0. The autonomy is exceptional, as it seems to last forever, and the screen quality is stellar, as expected from a quad-HD LCD. Just to give you a hint about the Kirin 960, you could play Horizon Chase or Lara Croft: Go sans dropped frames. 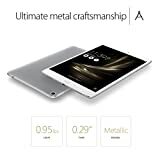 The ZenPad 3S 10 from Asus is a premium looking and feeling Android running tablet, built using anodized aluminum, and boasting a 9.7’’ 2K IPS display, a fast hexa-core MediaTek system on a chip, 4 GB of RAM and 64 GB of internal storage capacity. The gaming department is taken care of by the IMG GX6250 GPU, and the price tag hits the sweet spot. What makes this tablet to stand out from the crowd is its stylish design, which is as premium as it gets (and yes, it’s Apple-inspired), not to mention it’s incredibly thin (5.8 mm) and light (430 grams). The IPS display is fantastic in terms of color reproduction, boasting Asus’ patented VisualMaster technology. The Lenovo Tab 4 Plus is one of the most interesting Android-running tablets out there, boasting both Wi-Fi and LTE (cellular) connectivity, an excellent 10’’ full HD 1080p IPS screen, and dual stereo speakers, everything powered by a Quad-Core Snapdragon 625 system on chip, 2 GB of RAM and 16 GB of internal storage (expandable via micro SD cards). This tablet runs on Android 7.1 out of the box, which can be updated to Oreo, and it draws juice from a beefy 7,000 mAh battery. The Tab 4 Plus will give you a fantastic ride for your money, offering excellent build quality, a big screen and decent hardware at an attractive price tag.